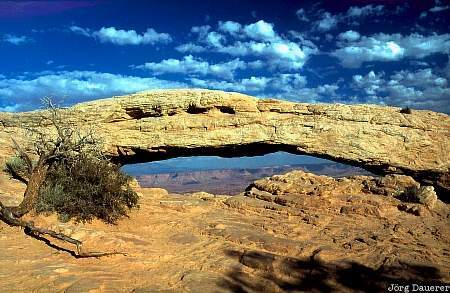 Mesa arch in the "Island in the Sky" district of Canyonlands National Park in southern Utah, United States. This photo was taken on an afternoon in early October of 1999. This photo is part of the exhibition Natural Arches (June 2014).